Our retail store offers one of the largest selections of perennial plants in Canada. You will find the usual and unusual in trees, shrubs, fruits perennials and vines. Many of our staff each have over 30 years of experience and can answer virtually any questions.ur retail store offers one of the largest selections of perennial plants in Canada. You will find the usual and unusual in trees, shrubs, fruits perennials and vines. Many of our staff each have over 30 years of experience and can answer virtually any questions. Grafting is the process of joining a root stock with a desired cultivar. The rootstock can provide good anchorage, hardiness, productivity, precocity and size control. 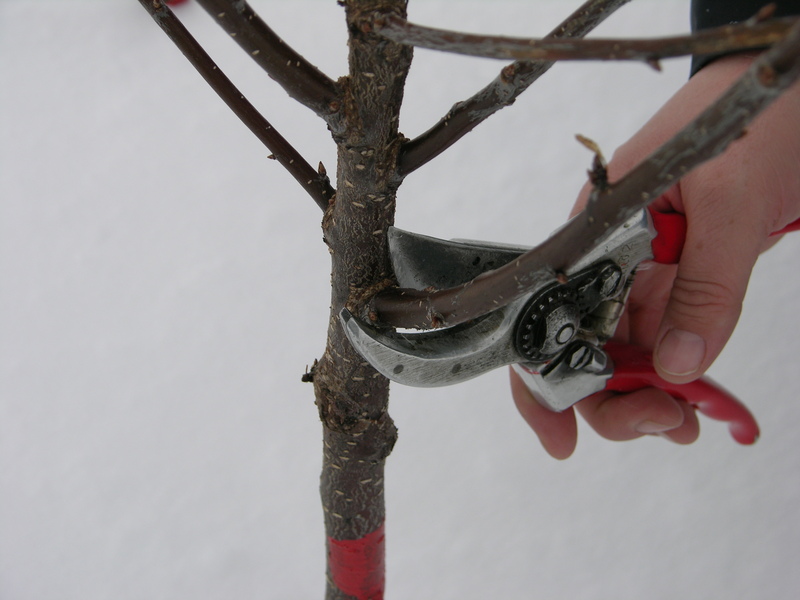 We will demonstrate how we graft fruit trees, deciduous trees and conifers. Join us for fabulous and nutritious food all made on site. 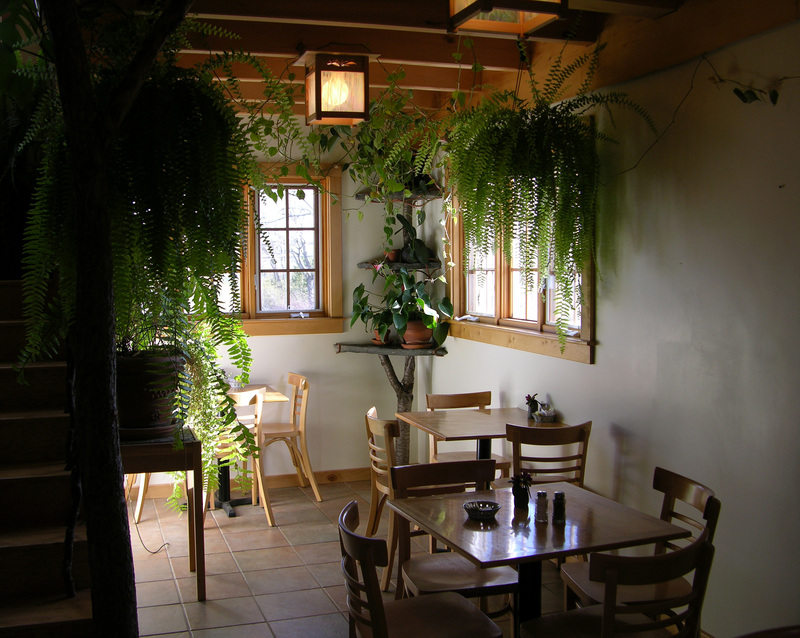 You will find a full menu of hot and cold sandwiches, homemade soups and mouth-watering desserts. We have vegetarian and gluten free selections and a wine and beer list carefully chosen for quality and reasonable price and that includes many local choices. Pruning is often confusing or even terrifying for some. We will demonstrate techniques of pruning as well as offer advice on the timing of pruning for different plant types. 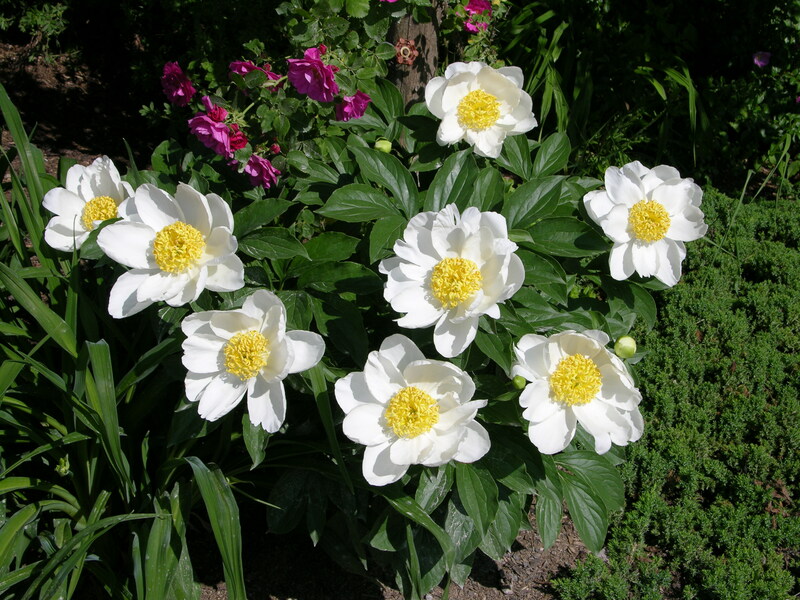 Most gardeners know the common spring perennials such as peonies and bleeding hearts. We will talk about these, but also perennials that may be unfamiliar to you but deserve a place in your garden. Celebrate with the most important woman in your life by bringing her for a meal at the Cedar Cafe and a walk through the gardens and shopping area. A free perennial will be given to every mother. Come on saturday and avoid the Sunday crush. Join us for a walk through our wooded area, which is a typical Acadian forest system. We will look at everything from the ground up and discuss how our forests are changing. Join us for a leisurely tour through our display gardens. You will be able to see a wide range of perennials such as dwarf iris, columbine, hellebore, fern leaf peony, as well as a selection of flowering trees such as magnolia and flowering crab. See our collection of lilacs. The early rhododendrons will thrill you. It is the beginning of the most colourful season of all. Though considered fussy by many, once you understand their needs you will find they are easy to grow. See our stunning plantings of azalea and rhododendron in full bloom. You won’t want to miss this. Our annual celebration of the year’s longest day. There will be a bonfire, Swedish torches, a cash bar and live music. We start at 8pm and run till midnight. Follow us on Facebook for details. At dawn each day roses are gathered from around the nursery to put on display on our famous stone table. You will be able to see and smell each of the labelled blooms. Picking your favourite is not easy, but certainly an enjoyable and unique experience. An exciting new fall event. We will be hosting local Maritime hard cider makers. You will be able to discuss their methods of production, the apple varieties they use, as well as to sample their products. This will be an indoor event so will go on rain or shine. There will also be chefs concocting marvelous things with cider and other local foods. Don’t miss this one! More detials to come! We will provide the flowers. You provide the imagination. After a short discussion of basic principles you can create your own unique arrangements. If you have pruning shears, gloves, etc. please bring them. You can bring your own vases or can purchase simple glass vases for $5.00@ if you want to take them home. There is a $20 fee for this seminar to cover the costs of gathering. Many gardens lose colour at the end of the summer. We can show you shrubs and perennials that can insure your garden will never become drab. 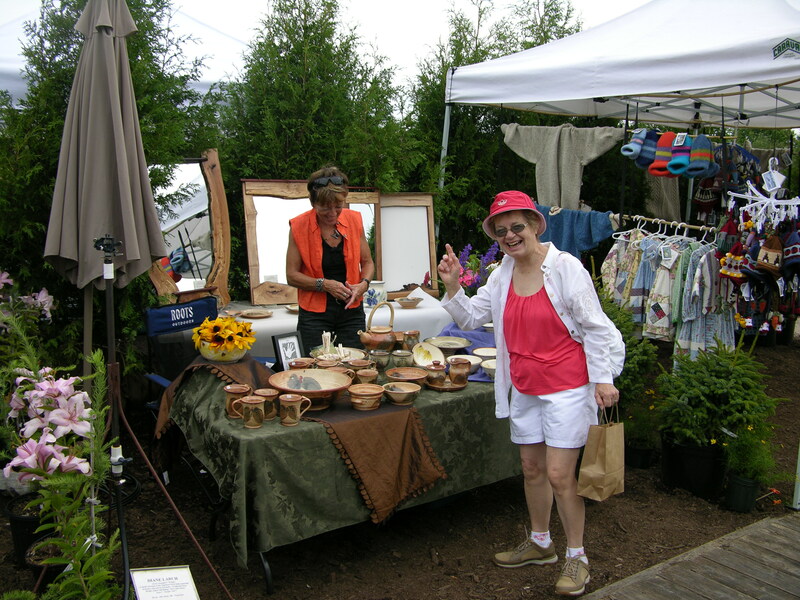 One of our most popular events.The highest quality juried artists and craftsmen from across the Maritimes will have their work on display for sale, surrounded by the colours, textures and fragrances of the gardens. Work will include pottery, jewelry, woodwork, sculpture, painting, textiles and more. If you want to create a walkway, patio or wall with natural stone here is your chance to learn the guiding principles of construction given by an instructor with over 30 years experience. This seminar will run from 10am-12pm and 1pm-3pm with an option for lunch. Cost is $30 plus tax for the seminar, $40 plus tax with a lunch included. Thinking of growing your own? Learn from an expert how to grow and harvest cannabis for your own use. Sorry, no samples, but you are free to bring your own. There is a $20 fee for this seminar. 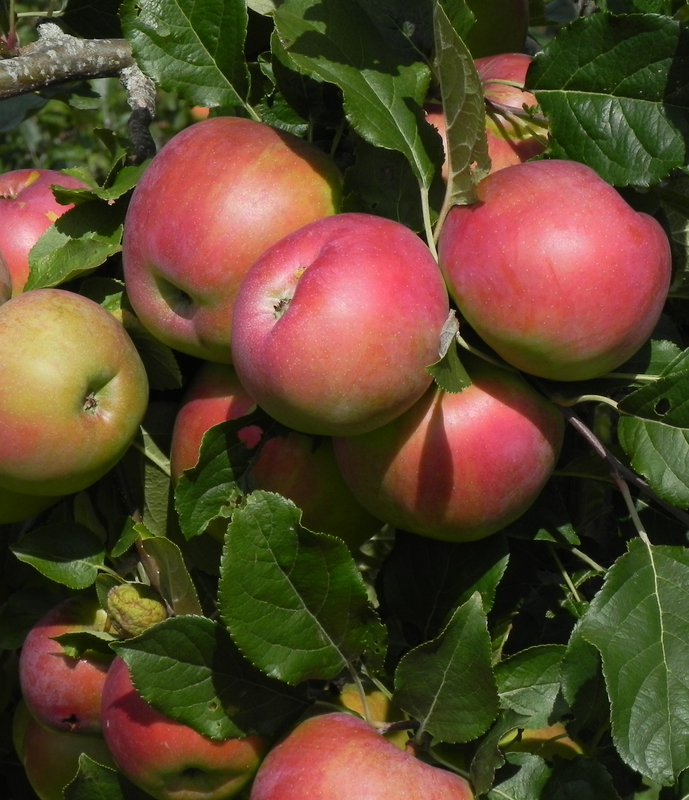 We have been growing apples for nearly 40 years and in that time have learned a lot about what works and what doesn’t. Join us in the orchard to learn about proper soils and siting and the cultivars that are best suited for dessert, baking, sauces and cider and how different rootstocks affect growth and productivity. Our annual celebration of the fall harvest. 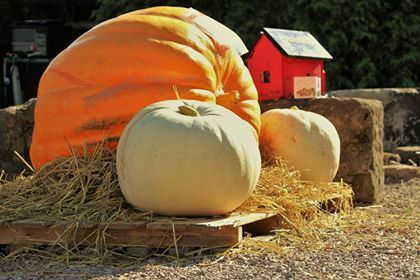 There will be informational seminars on growing apples, small fruits and grapes. The air will be filled with live music. The café will be offering the finest in foods and the pizza oven and cash bar will be available for those who want a quick bite and sip. There will be cider pressing and more.